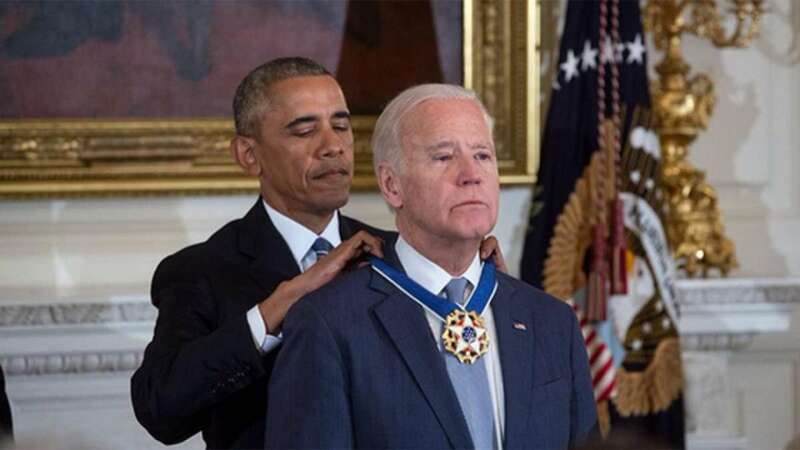 Los Angeles : In a surprise move that amazed Joe Biden, President Barack Obama on Friday awarded outgoing Vice President the Presidential Medal of Freedom. Obama called the former longtime Delaware senator as "the best vice president America's ever had who has a lion of American history. To know Joe Biden is to know love without pretense, service without self-regard, and to live life fully. He is a remarkable man who did remarkable things for the country"
A teary eyed Biden said, “This honor is not only well beyond what I deserve, but it's a reflection of the generosity of your spirit. I don't deserve this. But I know it came from the president's heart." The award was given at the White House at an emotional ceremony that was initially billed as a farewell. So far, the nation's highest civilian honor, with distinction has been previously given only to President Ronald Reagan, Pope John Paul II and Gen. Colin Powell. Notably, both Obama and Biden have enjoyed an unusually close working relationship over the past eight years. Ending the ceremony, Obama himself even joked at the outset of the ceremony that "this also gives the Internet one last chance to talk about our 'bromance.' "